In these weird times of chaos and totalitarian tendencies in the world, some timely questions came up for me on Quora. Answering them I felt back into those times when I lived in freedom surrounded by a totalitarian communist country and my question came up ever more pressingly: Why Do People Ignore History – And why do we risk to fall into the same horrible mistakes? How can the radical left today be so insensitive to what their ideals REALLY create? My generation still experienced it in Germany and our parents’ generation can tell you what right wing totalitarianism feels like. Both are devastating and murderous – and we are directly steering towards abandoning our freedoms for totalitarian human-despising ideas. 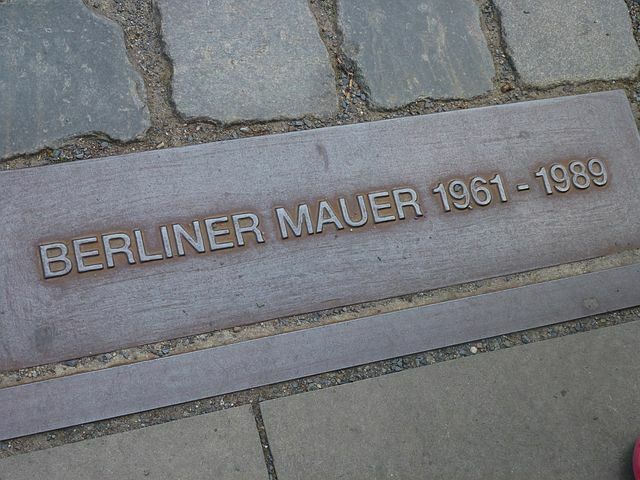 What was the main reason for the Berlin Wall? 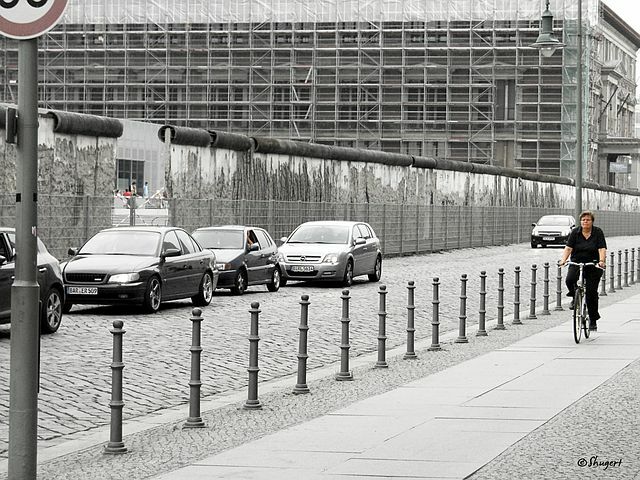 What were the differences between east and west Berlin during the period of the Berlin wall? So why was the wall built? It definitely was not a wall like the one in Israel or the planned Trump wall along the Mexican border. Those are designed to protect the country from the influx of foreigners. Not so the Berlin wall. It was built to keep the people inside their own country, to keep them in the prison of an totalitarian state. In the months before the wall was built, an increasing number of people had been leaving East Germany every day by walking through the “Brandenburger Tor” – as my ex-husband did as a teenager with his mother and brother, carrying with them only a bag with their most important belongings. The East was losing not only the best brains, as another commenter says, but virtually everyone who anticipated the future to come and were courageous enough to leave everything behind. They came from all over the country to Berlin, trains overcrowded with people eager to leave the east. The wall was built in only a few days, and the flow of people escaping increased tremendously in these last days – until they were trapped by the solid wall and the “security strip” alongside. In the beginning many people still could overcome the wall, jump from the windows of houses right on the border line or swim through the river but very soon these possibilities were brutally controlled by walling up the windows, by guns and self-detonating bombs. Many people lost their lives when they tried to escape after the wall was built and the wall became the symbol of a totalitarian state which is ready to use utmost brutality against their people who want to be free. 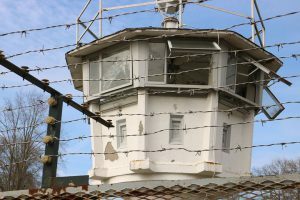 In the same time all East Germany was surrounded by a strong fence and self-shooting facilities which would kill people when they tried to climb over the fence. An uncultivated open area near the fence called “the death strip” was created everywhere in order to see any movement of whatever came near the border from the innumerable watch towers. People trying to escape were brutally killed. I used to live about 10km from the border in my youth in West Germany, and we often went to the border to see the “progress”. At the beginning we still could wave to people over there, later they were moved away to houses further from the border. In order to fool people from inside the country who thought they might escape by climbing the fence at the border, all geographic maps available in East Germany were falsified: the streets and villages in the border regions were wrongly inserted into the map and only people who lived in the area of 10 km from the border-fence (I am not sure how many km, maybe more) were allowed to be in or even enter into this “special zone”. It is hardly imaginable for people who are used to living in a Western democratic country that this was the reality, and even more difficult to feel into what suffering the regime caused to their people. 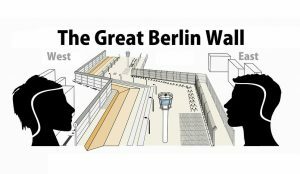 What were the differences between east and west in Berlin during the period of the Berlin wall? I lived in West Berlin from 1972 to 1984 as a (West German) university student. Life in the West of the city was very particular, you could find everything, culture and nature. Cultural experiments all over the place, experimental theatres etc. 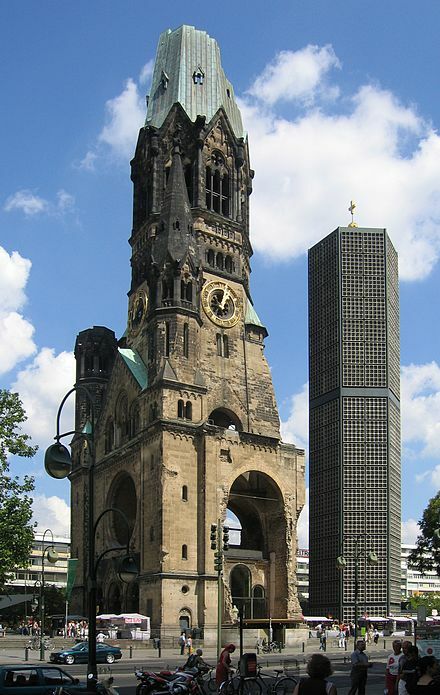 alongside with traditional rituals like the Christmas market in the (then) centre at the ruin of the Kaiser Wilhelm Gedächtniskirche. It was exciting and rich, vibrating and colorful. An optimistic response for the fact that we were surrounded by the East. 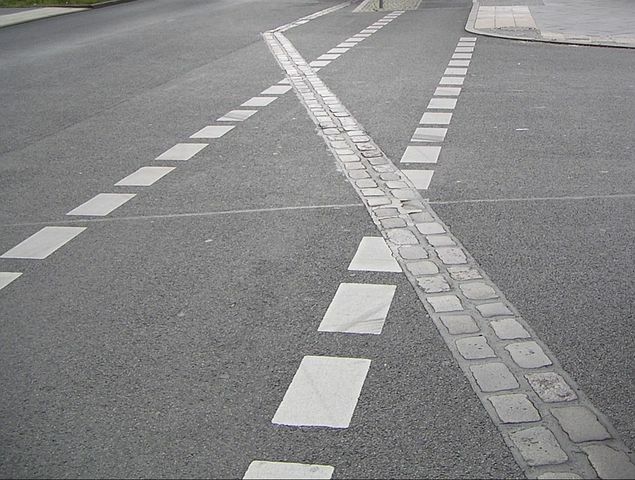 In West Berlin you could get everywhere with public transport – although sometimes with 20 minutes or more waiting in a freezing night, and you could bike on extra lanes. And if you had a car it was pretty easy to get everywhere – except to the east part, obviously. Two underground lines passed under the East territory and it was ghostly when the train slowed down at the closed stations. There was dimmed light and armed police wandering around. I was always happy to come out on the other side again. 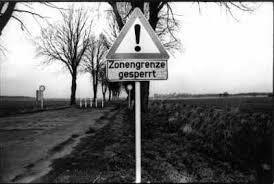 It was a dark feeling of danger and oppression, also when we went from West Berlin by the mandatory and guarded highways to West Germany, which we did very often. Several times a year we went to East Berlin, mainly for attending theatres. There was the famous Brecht Theatre “Am Schiffbauerdamm” and the “Komische Oper” with its artistic director Felsenstein who experimented with a new style of opera in which the singers were really actors and not just standing around singing as had been normal in the past. What other contributors on Quora said was accurate: West Berlin was shiny and tried to show up as a brillant city while East Berlin was grey and monumental in the “new center” with the ugly expression of socialist art and architecture. In those times all money was directed to the capital to give the impression to foreign visitors that East Berlin was a thriving city – and East Germany a normal country. That it was certainly not so and you could see it in many ways: the full supermarket in East Berlin with dozens of shelfs of THE EXACTLY SAME product (!! ), the strange atmosphere everywhere, including in the almost non-existent restaurants or in the cafés where you were treated like sheep, The big Dom (= main cathedral) without the vault and with pigeons living in it and only a few meters from the main “tourist” areas: houses which were about to fall apart and full of projectile holes in their facades. It was not easy to visit other parts of East Germany for “normal” people. I had relatives in Leipzig (Lipsia) and, from a certain time on, western residents of areas close to the east German border were allowed to go there for a visit and sometimes we could meet them there for a day. Better don’t ask what it took to get a visa and the procedures at the border! I knew also Leipzig from several visits, a major city further south, and the difference to East Berlin was enormous. Let alone small cities or villages. You must have seen it to really get a feel how communism has destroyed everything. When I visited Albania in the early 90’s I knew already from East Germany how things look like in such a country. But Albania, then, was a huge shock, and East Berlin and East Germany seemed to me a paradise in comparison to Albania. The poverty and destruction was unbelievable – and, from what I am hearing the same now is going on in North Korea, even maybe worse, although WORSE is really hard to imagine when we are used to our 21st century civilisation. Coming back to East Berlin. Every time we went there was connected with fear: You and your car were controlled thoroughly, both ways, in and out. It could take an hour or more and you never knew if you would be back home that evening because they could find something or invent something to keep you as a prisoner. (It happened to a friend of mine who, after a year or so, was BOUGHT back into freedom by our government). Every time when you entered East Berlin you had to pay quite a sum for the visa and you had to exchange money 1:1 (although the real value was around 1:4) which, additionally, was hard to spend in one day only as there was hardly anything to buy which you would also want to buy. I myself bought musical scores, whatever they had, not knowing if I ever would use them. Those I actually needed were not available with 95% probability. You had to spend all the East money before going back to the West – as if anybody wanted the cheap and worthless aluminum coins on our side of the city! You could get into trouble if you had forgotten to get rid of the east-money before entering the control section. Totalitarian regimes create an intolerable climate! Anyways, I came to assemble quite a library of musical scores which, later on, I actually used and was happy about that as they cost much more in the West – and still do today. Summary: It is no joke to be in a totalitarian police state, not as a visitor and not at all as a resident. Observing present revivals of totalitarian movements on the right AND on the left make me fear that the lesson of 20th century communism and its bloody and oppressive impact on millions of people has been already forgotten – and people who promote neo-communist ideas haven’t learned anything from history. Ignoring history brings the risk that our societies fall back into the same horrible mistakes of the 20th century. What comes out are not situations in which ANYONE wants to live, except the very few who are in power! So, please, don’t adhere to totalitarian movements which see only black and white! That in itself is the beginning of totalitarianism.